1. Why Edison Home Health Care? Knowledgable and friendly staff. Top-notch care. Getting home care can be both confusing and intimidating. Our knowledgeable and friendly staff will guide you every step of the way to help you get the care you need quickly. Your health and safety are our top priorities.  We conduct background checks before hiring all home health aides, and appropriate medical paperwork is required as well. We are accredited by the Joint Commission, widely recognized as the highest standard in health care accreditation. 2. What locations do you service? We provide home care services throughout New York State. 3. Do you have caregivers that speak foreign languages? 4. What if I need to contact someone in the middle of the night or on the weekend? Our staff is On Call 24 hours a day, 7 days a week, 365 days a year. There is always someone available to take your call. 5. How do I pay for home care? Clients are often surprised to learn that their care can be covered by insurance. Our staff will explain all of your options so you have a clear picture of whether or not you can qualify for coverage. We also accept private pay for care that does not qualify to be covered. 6. Do you provide 24 hour home care? Yes. We provide 24 hour home care in two forms: split-shift and live-in. Split-shift means that we send two home attendants every day, each one covering a 12 hour shift. Live-in means that one home attendant stays for 24 hours and sleeps at the client’s home. 7. How do you monitor your caregivers? We use a unique telephone attendance system for our home health aides, ensuring that the shift’s schedule is being adhered to properly. We also maintain a full-time supervisor who monitors our aides’ punctuality, performance, and professionalism. Call us today! You’ll be greeted by one of our friendly staff who will answer your questions and set up your home care – 718-705-5800.